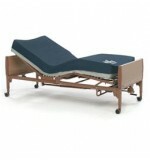 We have a large variety of custom full or semi electric hospital beds for your home, nursing home, clinic, or organization. Delivered right to you or your nursing home, for purchase or rent. 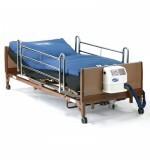 We offer an extensive list of hospital beds for rent on a weeky or monthly basis in Phoenix and Chandler. 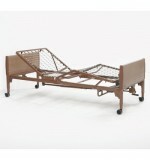 Call us or come on in to view our showroom and find the hospital bed best for your needs. Comfortably accommodates larger patients with a 600 lb. (272 kg) weight capacity and an extra-wide 42" (107 cm) x 80" (203 cm) deck. Patient safety is ensured by an all-steel frame and heavy-duty pan deck. Ideal positioning and comfort are offered by a hand control that can maneuver the bed i..
Hill Rom Hospital Beds Electrical ..
Users and caregivers can easily adjust body position and bed height with intuitive hand pendant. Maintenance is easy with color-coded junction box connections. Interchangeable bed ends reduce inventory and are washable with standard water pressure. ..
Hospital Beds Cannot Be Expedited. 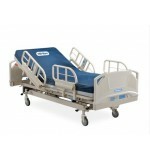 Please Allow 1-2 Weeks for Delivery for all Hospital Beds Semi Electric Bed Frame Invacare 5185 Mattress Full Bed Rails 6629 The Value Care Duo bed utilizes spring set push buttons on each leg to adjust the height. (no longer need manual crank) ..
Light beds are easy to transport with a foot section that weighs just 42 lbs (19 kgs) Convenient DC motor box snaps off quickly, making delivery, setup and routine maintenance easier A 9V battery back up allows movement to lowest bed position during power failures (batteries not included) H..